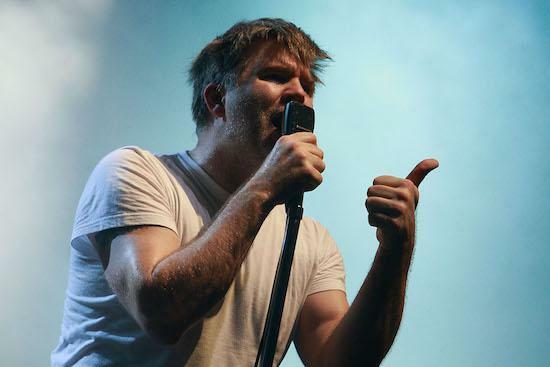 LCD Soundsystem played the first of five shows at new New York venue Brooklyn Steel last night and used the opportunity to debut three new tracks. It was their first show since summer last year, having cancelled a number of planned live shows in order to work on their new album. 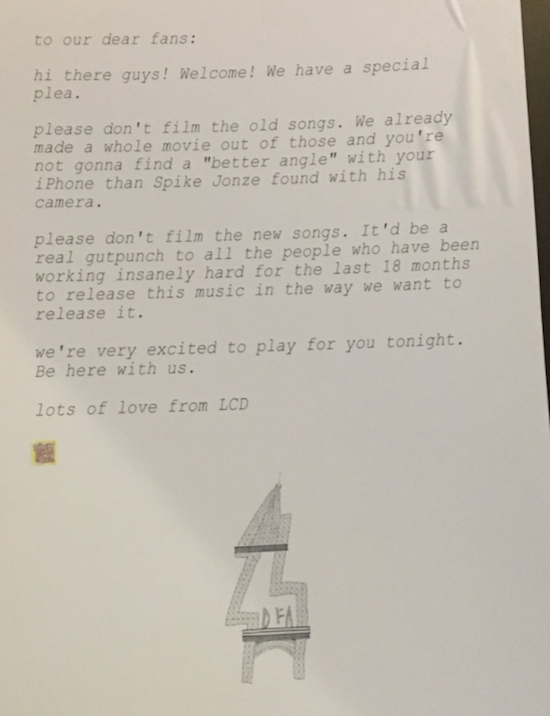 They specifically asked fans not to record any of the new tracks, with a notice on display at the venue reading: "It’d be a real gutpunch to all the people who have been working insanely hard for the last 18 months to release this music in the way we want to release it." You can see that notice below. A setlist posted online shows that the tracks are called 'Tonight', 'Call Police' and 'American Dream', and they will presumably feature on the band's as-yet untitled new album which is expected to be released this summer.